Manufacturing is changing and competition is fierce. Factories are becoming smarter, supply chains are becoming shorter, and production is driven by speed to market and customisation. 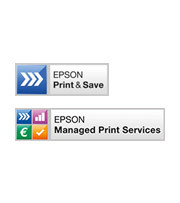 Epson technologies are designed to help you adapt to a smarter future at your own pace. Our flexible solutions will support your evolution as you become more customer-focused through personalisation, more efficient through automation, and more agile through augmented reality. Be more responsive by automating every stage of the manufacturing process. Be more responsive at every stage of the manufacturing process. Automate the tasks that slow you down, take advantage of the latest innovations, and increase efficiency throughout your business. Ensure repetitive tasks are more efficient with Epson’s industrial robotic arms, which can take on multiple tasks and be integrated into existing assembly lines. Speed up production and increase accuracy with hands-free assistance from Epson’s Moverio smart glasses – giving workers clear guidance on precise assembly. Get paper processes under control with efficient document management from Epson’s WorkForce scanners and multifunction devices; route information to the right departments at the point of capture, and put insight at the centre of everything. 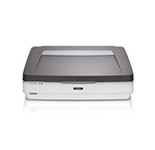 Improve quality control with the Epson Expression 12000XL scanner; scan swatches and samples to gain approvals at concept stage, cross-check the electronic PCB boards at component level and use high-quality software tools to maintain QC standards4. 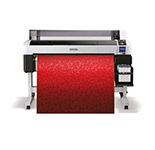 Adapt to changing needs by printing high-quality customised labels quickly and easily with Epson ColorWorks. 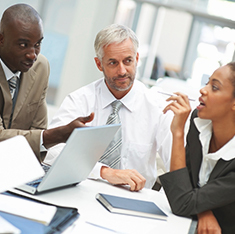 To reach the lean status that today’s industry requires, you need to invest wisely. To reach the lean status that today’s industry requires, you need to invest wisely. Cutting out business-wide inefficiencies and saving steps in the value chain can reduce time and costs, while improving quality. 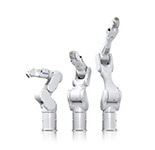 Optimise your resources with Epson’s range of robotic arms, which provide a high output over a much smaller footprint, for maximum efficiency and reduced station times. 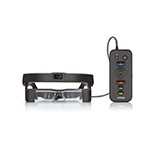 Remotely support staff with expert advice using Epson's Moverio smart glasses; share what workers see with the powerful HD camera and provide live feedback and advice to aid staff training. Expand your range with Epson’s SureColor and SureLab professional printers; offer customisable versions of fine art, cards and invitations on a wide range of media. Make your products stand out with Epson’s SurePress label press, which offers precise colour matching, accurate reproduction and lifelike shades for high-end, eye-catching product labels. Use our total cost of ownership calculator. Putting people at the centre of everything leads to a more effective workplace and happier customers. Putting people at the centre of everything leads to a more effective workplace and happier customers. 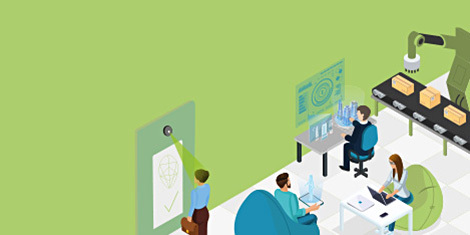 Combine the flexibility, creativity and instinct of your workforce with the versatility and on-demand qualities of new technologies to drive engagement and results. Advance your workforce by using Epson's robotic arms to increase productivity and precision, with very low risk of error. 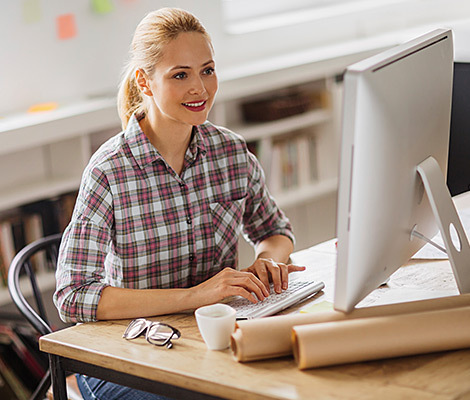 See productivity in action by speeding up your entire workflow using Epson WorkForce Pro RIPS A4 and A3 printers, which offer low running costs, fast print speeds, and minimal intervention. Work with absolute precision using Epson's Moverio smart glasses; superimpose virtual guides and blueprints over the physical environment to aid worker education. 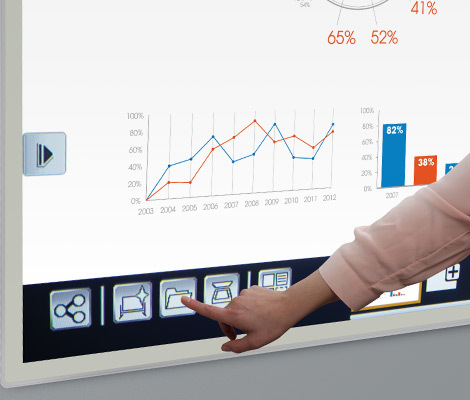 Accelerate the training process with Epson’s interactive displays; encourage self-discovery by annotating over displayed content using finger-touch and dual pen interactivity. At Epson, we understand the importance of supporting a more sustainable planet for future generations. 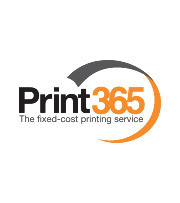 We understand the importance of supporting a more sustainable planet for future generations, which is why we develop our print solutions to be as environmentally considerate as possible. 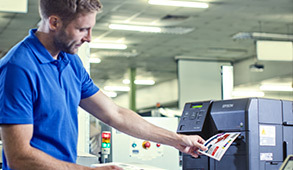 Meet your environmental targets with up to 99% less waste from WorkForce Pro Replaceable Ink Pack System (RIPS); use up to 96% less energy with WorkForce Pro printers4 and double your print speed at half the power consumption with the WorkForce Enterprise series2. 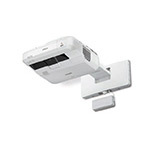 Save electricity and CO2 with WorkForce Pro models, which use up to 96% less energy than lasers and laser copiers1. Calculate the electricity and CO2 savings a WorkForce Pro printer could achieve in your manufacturing environment with our calculator. Get the best out of your skilled workers by introducing robots into your workforce. 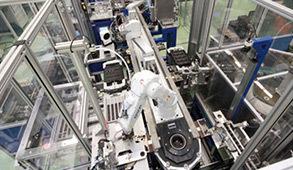 Epson’s robotic arms work to complete time-consuming tasks autonomously on the assembly line. Extremely compact, versatile, manoeuvrable and scalable, they take care of non-skilled manual labour – leaving your skilled staff to focus on intelligent production and business growth. Epson's Moverio smart glasses make carrying out complex tasks in demanding industrial environments quicker, easier and more intuitive. Hands-free visual and remote guidance make Moverio the perfect solution for testing, training, assembly, and maintenance operations4. If you’re not being efficient throughout your business functions, it’s going to have an effect on your people, suppliers and customers. 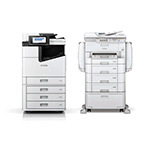 Epson’s range of printing and scanning solutions are designed to eliminate delays, disruption, waste and inconvenience. 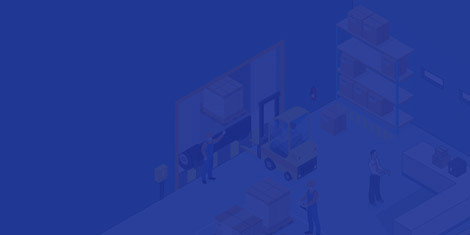 You can expect seamless logistics, product identification, invoice automation and inventory management. 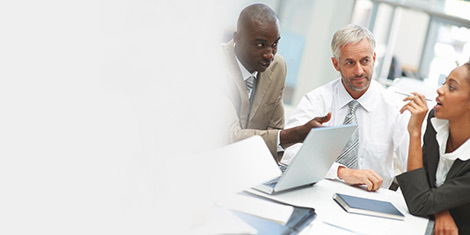 And that ultimately means easier supplier relationships and enhanced customer service4. Integrate Epson’s reliable range of robotic arms into your existing assembly lines, working as ‘cobots’ alongside your skilled workers. Our industrial robots operate non-stop to increase load capacity, speed and precision while performing repetitive, manual or hazardous tasks. 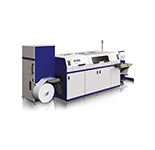 Print high-quality labels across a wide range of substrates and applications with our SurePress Label presses. Using AQ or UV inks, they are efficient and easy to set up and use, allowing users to expand their service offering. Make the most of augmented reality to shorten development cycles and increase accuracy. 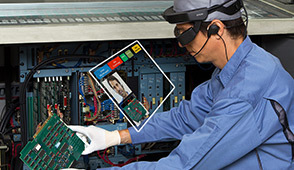 Epson's Moverio smart glasses superimpose images on the working environment, for hands-free guidance on planning, design, assembly, and maintenance operations. 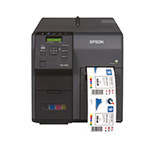 Designed for high quality, customisable operation on a large scale, Epson ColorWorks label makers are the perfect tool to provide clearly visible labelling for inventory management, or to draw attention to important information such as use by dates or shipping information. 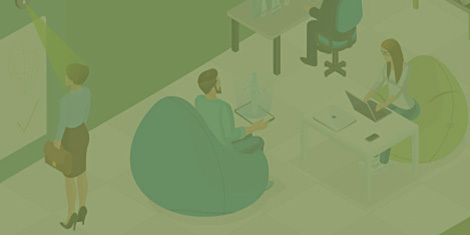 Train new workers without having to type up notes, and collaborate with suppliers by communicating and sharing files in real-time – without leaving the workplace – using our interactive displays. Guarantee productivity for garment printing, be it high-volume sports apparel printing, stand-out quality fashion and home decor, or custom design T-shirts, the SureColor SC-F range can reliably provide unbeatable results. Digitise your documents to keep important plans secure. Minimise errors by scanning directly to Sharepoint which will overwrite old versions of documents - ensuring that all stakeholders are working to the latest set of plans. Find a wide range of resources regarding the manufacturing sector. These include articles, case studies, infographics and brochures, featuring information about Epson products, solutions and market trends. For more information on the Epson solutions for manufacturing, simply fill in your details below and an Epson representative will be in touch. Survey conducted by Futuresource Consulting Limited for the period from 2001 to 2017.